Creation is filled with more strange creatures than any man could ever hope to catalogue in a single lifetime. For better or for worse, the author of The Thousand Sanctioned Beasts may not die until he has catalogued them all. This is the first installment in a series of bestiaries for Exalted Third Edition. 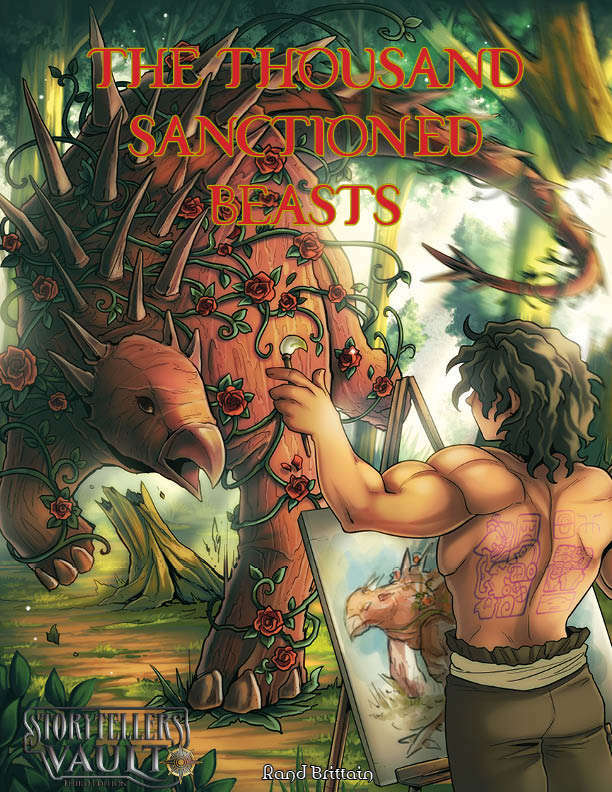 The Thousand Sanctioned Beasts is a game-focused guide to creatures, with the primary aim of making it easy for Storytellers to construct encounters (or for players to summon). Remember how we used to have the Monster Manual? Yeah! Like that! This installment of The Thousand Sanctioned Beasts focuses on martial artists. It features an array of mortal martial artists of varying skill levels as well as a few Exalted boss monsters. Each can be customized with a variety of different martial arts styles. With these, you can construct an entertaining encounter for Exalts of every power level, from Air Aspects who mostly bought dots in Bureaucracy to Solars eager to resurrect the "Dawn hydra." With entirely-original art created by Kirsten Moody, The Thousand Sanctioned Beasts aims at being the high-quality book of encounters you've been vaguely expecting to start existing for years.